As part of our #9innings feature, the Daily Stache recently had the chance to have a quick Q&A session with Andy Martino, who juggles his time between the Huffington Post and SNY. Below he weighs in on the Mets’ question marks, Mickey Callaway, David Wright and a whole bunch more. Also, don’t forget to check out Baseball Night in New York, which premiers on Nov. 14. There a lot of question marks going into the offseason for the Mets. Who do you think had a down year (other than those injured) that needs to step up next season and why? Haha, it’s tough to find someone not injured, but Asdrubal Cabrera’s regression, especially defensively, was a big difference from 2016. It’s like the scouts who said he was old were proven right — now can he turn that perception around again? What did you think of the Mickey Callaway hire? Do you think the Mets went in the right direction? It’s hard to say, since he has no record. But I will say that Sandy Alderson and people in the front office seem really energized and happy in recent days, and that’s because of the hire. There has at least been a positive short-term impact. 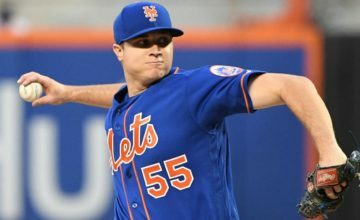 If the Mets could pull the trigger on one trade in the off season, who would you target and why? Thats going to be tough because the know they don’t have a lot of trade chips. Off the top of my head, Brian Dozier would do a lot for that lineup but I don’t see that happening. 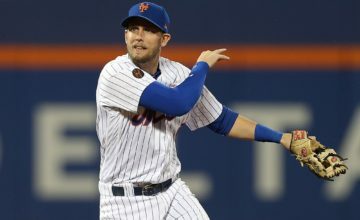 Who’s a free agent that should be high on the Mets’ wish list? Why should they go after him? Wade Davis. Logan Morrison for his 1B/OF versatility. 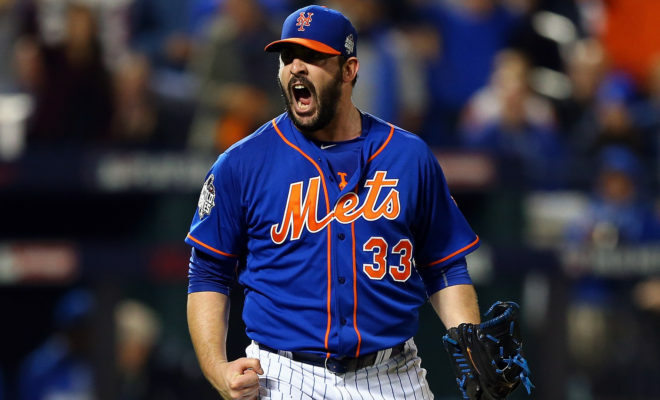 What do you expect to get out of Matt Harvey? Is he Mickey Callaway and Dave Eiland’s biggest project? There’s some optimism in the organization that he will be more fully recovered from TOS surgery, and he is said to be working very hard. That said, the Mets know they can’t get their hopes up too high? Is he their biggest project? I don’t know. They only have him for a year. How do the Mets’ avoid so many injuries? Can we trust the staff, despite the departure of Ray Ramirez? They are implementing a lot of deep changes in the culture in this area. Lots of focus on this internally. Will it work? We shall see. Amed Rosario and Dominic Smith…what did you think of their limited sample size? Should they be promised everyday jobs in 2018? Why or why not? I’d be more concerned about Smith. His conditioning hasn’t been great, and I wouldn’t be shocked if he became a trade chip. If Brandon Nimmo/Juan Lagares start the year in center field, would you be disappointed or could they be a serviceable tandem? Why or why not? Me? I’m fine either way. You might be disappointed, but I would say expect it. Rich. Everyone of em. Even more so than they are today. To follow Andy Martino on Twitter, click here. 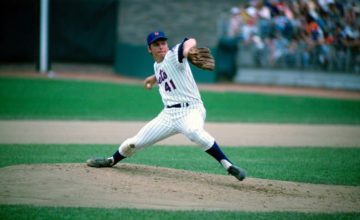 ← Previous Story Mets Trivia: Which Five Former Mets Get a World Series Ring? I believe that the Callaway hire was a smart one, and bringing in Dave Eiland was a good one also. Now lets get those injured players and underachievers back in forn for 2018.